I don’t like fashion pieces. I like beautiful, traditional Indian clothes, that don’t go out of style… … Don’t do the mathapatti, the nose ring, the necklace, and the hathphool altogether. Every piece should not be a statement piece. There should be one thing that’s beautiful and stunning, and everything else has to accentuate it… … (you) should be happy, because that makes them look beautiful, no matter what outfit they put on. 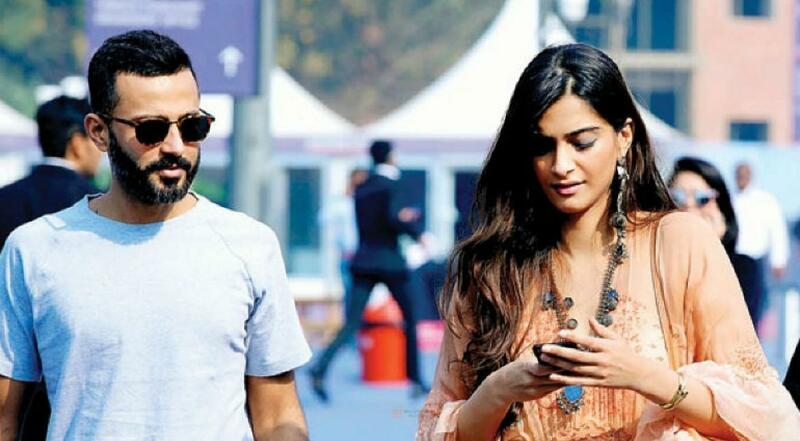 Bollywood actress and the Fashion Queen of B-Town, Sonam Kapoor is getting hitched next week! The wedding is set to take place in Mumbai, on May 8. The Kapoor residence is already decorated to the maximum ahead of the wedding and the rehearsals for the sangeet are on in full swing (apparently). According to recent reports, Sonam’s cousin, Janhvi Kapoor, daughter of Boney Kapoor and the late Sridevi, will perform a medley of her mother’s songs. Also, Karan Johar is preparing for a special act. The sangeet will be held at a 5-star hotel in Mumbai and the mehendi ceremony is set to take place at the banquet hall of the building in Bandra-Kurla Complex in which Sonam owns an apartment, 7,000 square feet big! But, the wedding will be held at the heritage mansion of Sonam Kapoor’s aunt Kavita Singh, in Bandra. As Sonam looks towards fulfilling her dreams of a “happily ever after” marriage with Anand Ahuja, she opened up to Nupur Mehta Puri, the editor of Brides Today. Of course, her bridal dress will be designed by Anamika Khanna, who is a close personal friend to Sonam Kapoor. “Everybody dreams of being an Anamika bride. I just have an added advantage.”, she said. Be a part of the hottest social media platform and win amazing prizes every week! A Crazy Person in an Even Crazier World!